When the latest celebrity news breaks, it often goes viral on the web. But some websites are better than others when it comes to breaking all the latest celebrity news and gossip accurately and in a timely manner. If you’re addicted to knowing what’s up in Hollywood and don’t want to wait around for Entertainment Tonight to air on television, here are a few sites you can use to get your celebrity gossip fix online. Includes all the A-list celebs and what they are up to. Has an entire section just for British royals. Even the ads are fun. Includes some non-celeb (but shocking) news that you see everywhere on the internet. Most celeb news addicts know that People Magazine is one of the hottest offline publications for entertainment news and celebrity gossip. The site resembles an online version of its magazine, featuring latest headlines and what’s making news in Hollywood, so there’s always something new to read. They’ve actually got some pretty fun online quizzes too. Real-time news and gossip updates. Lots of photos and videos of celebrities. Not as slick a website as People has. The design could use an update. TMZ is one of the most popular websites for all things Hollywood. The site’s reporting is focused on getting only the best inside scoops, and its reporters are most often among the first to have coverage on any breaking or current news. The site even gives you the opportunity to create a personal account and customize your experience, along with exclusive sections for photos and videos. A must-see website for Kardashian fans. No search field to look for your favorites. Shopping opportunities are immediate and continual. E! Entertainment Television is the popular satellite TV network that most people have seen grace their TV screens. Its popular online property is called E! Online. This one is pretty similar to the other popular sites and includes everything from news and inside scoops to celeb photos and videos. If you like the stuff they put out on TV, which is pretty darn popular, you might be interested in their online stuff as well. Some behind-the-scene coverage you don't see elsewhere. Basic layout could use some design work. Yahoo Entertainment! is a celebrity gossip section of Yahoo!, which gets some of the highest traffic numbers online. This makes it one of the trendiest web resources for the latest celebrities news. Browse through categories like TV, Movie, Music and event entertainment events like Comic-Con. The site that also has round-the-clock celebrity reporting, so you’ll never get bored. 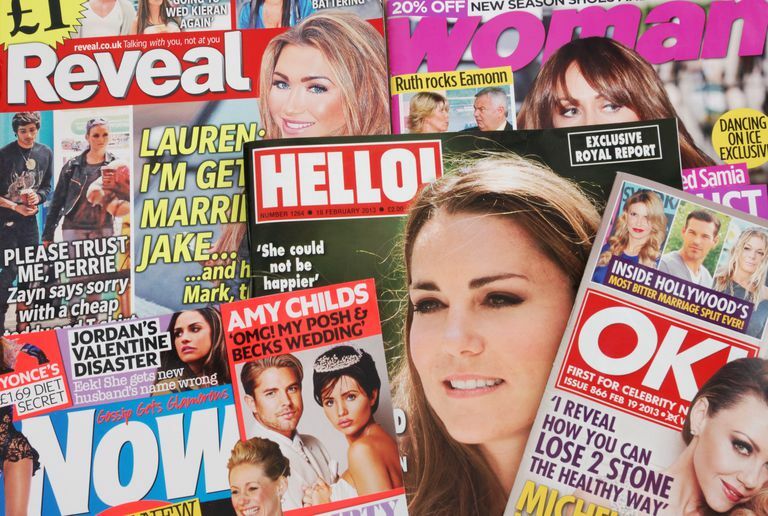 It's for fans who prefer their celeb news with a generous helping of gossip. The celebrity name crawl at the top of the page is clever navigation tool. Lots of quizzes test fans' celeb knowledge. So much is going on at the website, you don't know where to look. There are too many advertisements and Perez Hilton promotions. A celebrity gossip journalist known as Perez Hilton built one of the most popular blogs the internet has ever seen. It’s so popular, he’s practically a celebrity himself. He’s well known for writing silly and critical captions on photos of celebrities. He’s got quite the personality too, and it shows through on his site. So if you’re up for some extra drama from one of the web’s top celebrity bloggers, this is a good one to look at. Celeb news often breaks first on Twitter. Easy to follow your favorite celebrities and celebrity websites. Customized email and text notifications. Some celebrities don't use Twitter. Many celeb tweets aren't newsworthy. Last but not least, we have the king of all breaking news sites: Twitter. Instead of constantly refreshing TMZ.com or People.com, why not just sign up for Twitter and start following every celebrity gossip site’s Twitter account AND all your favorite celebrities? When news breaks, it usually breaks on Twitter not long afterward. So if you want good news right when it hits, Twitter is the place you need to be.